Blackstone-Ney Ultrasonics has perfected an ultrasonic cleaning tank for use with Class 1, Div. 1 Group D, T3 solvents. 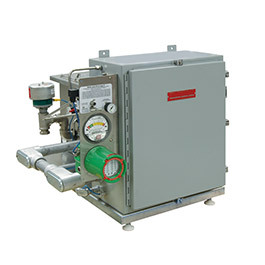 The HT-IPA is designed for small parts cleaning applications in which a flammable solvent is required. The HT IPA is currently available in two sizes that are independently certified by ETL ( Electronics Testing Laboratories).